Food insufficiency is associated with suboptimal HIV treatment outcomes. Less is known about psychosocial correlates of food insufficiency among PLWH. This sample includes 1176 adults initiating antiretroviral therapy at HIV clinics in Ethiopia. Logistic regression modeled the association of psychological distress, social support, and HIV-related stigma with food insufficiency. Among respondents, 21.4% reported frequent food insufficiency. Psychological distress [adjusted odds ratio (aOR) 2.61 (95% CI 1.79, 3.82)], low social support [aOR 2.20 (95% CI 1.57, 3.09)] and enacted stigma [aOR 1.69 (95% CI 1.26, 2.25)] were independently associated with food insufficiency. Food insufficiency interventions should address its accompanying psychosocial context. The authors gratefully acknowledge the study participants and clinic and research staff who collected the data. The project was supported by a research grant from the US National Institute of Mental Health (R01MH089831). Dr. Parcesepe was also supported by Award Number T32 MH019139 (Principal Investigator, Theodorus Sandfort, PhD) from the National Institute of Mental Health. 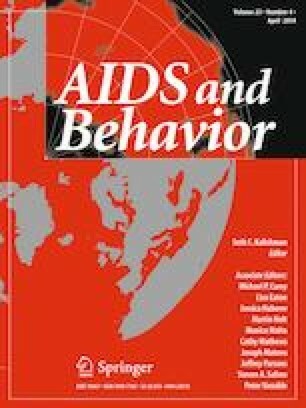 All the clinics included in this study received support from ICAP at Columbia University through funding from the President’s Emergency Plan for AIDS Relief. The study was approved by the Institutional Review Boards of the Oromia Regional Health Bureau, Columbia University Medical Center and the City University of New York. All procedures performed in this study were in accordance with the ethical standards of the Institutional Review Boards of these institutions and with the 1964 Helsinki Declaration and its later amendments or comparable ethical standards.